There’s not much left of 2018, and it’s winter break. No school, what to do? While it could be easy to just stay in for the week and “veg out”, we have some tips on structuring your week to include both staying in and getting out to best create those memories for your family. Plus, going out doesn’t have to mean breaking the bank. Check out the fun local library events at the end (#30) to enjoy your winter break and save your wallet! 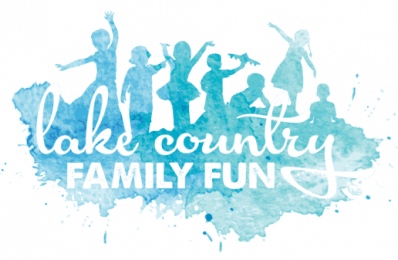 Lake Country Family Fun has you covered with this handy guide to 30 Things to do over Christmas Break to keep you and your little ones occupied and avoiding the #stircrazy. Look no further this break! Note: These events are subject to change. Please check with the venues on availability and pricing before attending. StoneFire Pizza Company has 40,000 SQ Feet of Fun, Food, and Family-Friendly Atmosphere! At StoneFire Pizza Co there is something for EVERYONE! StoneFire has one of the only Immersive virtual reality games in the area! It also hosts a state of the art Arcade Area, Candy Store & All new Full Service Sports Bar. Get out of the house this Winter Break and enjoy StoneFire Pizza! #1 Stay in and watch your favorite movies in pajamas with popcorn and hot chocolate. Our favorite 30 Christmas movies can be found here. #2 Visit the Milwaukee County Zoo – It’s FREE for a week over Break! The free days are December 24-January 1st to visit winter-loving animals, stroll through warm indoor exhibits and see new tiger cubs. #3 Sign up for Winter Camp at Phantom Lake YMCA in Mukwonago. Winter camp runs from the 27th of December between 1:30-2:00 until December 30th between 10:30 and 11 a.m. and is open to any and all 8-15 year olds! #4 Sort through old toys to make room for the new ones. #5 Go Ice Skating indoors! The Mullett Ice Center in Hartland has public holiday skating from 12/26 through 1/1 in the afternoon. #6 Check out our New Year’s Eve Family Fun Celebrations List for making plans on New Year’s Eve DAY – December 31. Lake Country Family Fun’s New Year’s Eve Guide sponsored by Panga Bar and Grill. They have so many classes throughout the week! See their calendar here. #8 Fly a Kite and get free snacks and goodies at the Cool Fool Kite Festival on January 1st. The COOL FOOL KITE FESTIVAL will be on New Year’s Day, 2019 from 11:00 am until 5:00 pm in Veterans Park on Milwaukee’s Lakefront. This is a FREE event, with plenty of FREE parking. They will have FREE hot chocolate, coffee, and snacks, compliments of Gift of Wings, while they last. This is a “Fun Fly” so bring your kite or pick up a kite at Gift of Wings at the park. #9 Go Hiking on Jan 1 and enjoy hot beverages and snacks afterwards. KETTLE MORAINE STATE FOREST – PIKE LAKE UNIT (12:00 pm – 3:00 pm) – Hike or snowshoe a 4.5-mile or 2.5-mile loop on the Brown and/or Green Trail. The hike will be co-lead by the Ice Age Trail Alliance and the Park Naturalist. Park in the beach parking lot and meet at the amphitheater. Pets on a leash are welcome. After your hike, warm up by the campfire and enjoy hot chocolate. Admission stickers are not required for this event. KETTLE MORAINE STATE FOREST – SOUTHERN UNIT (11:00 am – 1:00 pm) – Start the new year off with a 4 mile hike through the forest. Stick around afterwards for hot cocoa courtesy of the Kettle Moraine Natural History Association and warm up in the new warming shelter. Meet at the Scuppernong Trail System parking lot off of Highway ZZ. GET DIRECTIONS. We hope there is snow!! If so, check out LCFF’s local sledding guide. Let us know of any favorite places of yours we missed! #11 Is it too cold out? Check out our Indoor Play Guide! There are many local places to play indoors. See them in our Indoor Play Guide. #12 Clean out your pantry. Take some time to clear out your pantry. For any non-expired items, consider donating to a local food bank. See our Food Pantry Guide. Create a new recipe with the new found ingredients hiding in the back of the pantry/cupboard. #13 Spend the day splashing away at an indoor water park or pool. #14 Check out a local home-team Sports Game. The Milwaukee Bucks play at home on December 27th at 7:00 pm and December 29th at 4:00 pm and January 1 at 7:00 pm. Marquette University Men’s Basketball has a game on the evening of Friday, December 28th. #15 Show off your Skating Skills at an Ice Rink. You can find out where you can ice skate in Waukesha and Milwaukee Counties via our LCFF Wintertime Fun Guide! Skating is fun for all ages! The Sussex Ice Rink is OPEN! We love skating at the Naga-waukee Ice Arena. #16 See a $5 movie on Tuesday, December 25th or Tuesday, January 1st, 2019. #17 Send your child to a 3 day ninja Camp at Midwest Twisters Hartland – $65 (Details here). This 3 day camp is a great way to burn off some energy over the Holiday break! Join the coaches as they lead the kids through all kinds of challenges designed to bring out your child’s inner warrior! Including the warped wall, spider climb, numerous strength challenges, trampolines and more! This year there is a ninja camp AND a gymnastics camp. #18 Go out for Pizza and Fun at StoneFire Pizza Company in New Berlin! What can be more fun than going out for Pizza (and really GOOD pizza) with the family and letting the kids burn some energy off in the ninja course! There are four different themed rooms to dine in. Plus, no clean up at home to boot! StoneFire Pizza Company is a 40,000 square foot Indoor Family Fun Center with fun including games, attractions, prizes and a ninja course. Learn more here. Check out their winter specials going on in their ad on the top of this guide. #19 Get your kids out of the house this winter break and burn off some energy with Burn Boot Camp! Burn Boot Camp Lake Country is hosting a Kidz Camp for ages 5-14 years old at their Sussex Location. Kids should dress in athletic clothes and bring water. No pre-registration required. Open to the public. Arrive 10 minutes before camp to ensure check in and proper paperwork is complete. They will begin promptly at start time. #20 Family Tae Kwon Do Champions is hosting a Christmas Break Day Camp. Martial Arts, Indoor Sports & Games, Dance, Arts and Crafts, Educational Activities, and more. Cost is $40 per child, $35 for children already registered for Summer Camp 2019. #21 Enroll your kids in Winter Camp. Do your kiddos miss summer camp and wish they had something exciting to do during winter break? We’ve got just the solution! Join in at Riveredge for their fourth annual Winter Camp! #23 Rent Snowshoes at Retzer Nature Center. Snowshoe rentals are available. $5.50 for half a day and $9 for a full day. #24 See where kids eat free this week (PS. Tuesday has the most options). Oconomowoc Library is hosting a blood drive on Friday, December 28, 2018 from 9:00 am to 2:00 pm. St. Charles Parish in Hartland is hosting a blood drive on Thursday, December 27th from 1:00 pm to 6:00 pm. The Village at the Falls in Menomonee Falls is hosting a blood drive Monday, December 31st from 10:00 to 3:00 pm. #26 View the Country Christmas Lights Display. You can drive through to see the lights through December 31st, including Holidays. Book a stay with the Country Christmas Getaway Package. #27 Take a Road Trip! The kids are off school, so hop in the car and drive! Use our Wisconsin Road Trip Guide to guide your planning. Plus, look over these 7 Tips for Making Traveling with Little Ones a Piece of Cake. #28 Make Your Own Playdough. All you need is flour, oil, salt, cream of tartar and water for this easy home-made playdough recipe that lasts for months. Add food coloring if you want to add color. Check out the recipe here. #29 Visit the Milwaukee Park Domes, “Scrooooge!” Holiday Floral Show. Make cute and crafty glove creations on 12/28 from 2:00 to 3:00 pm. This program is for kids in grades 4 and up and does require pre-registration and attendance is limited. Registration begins on December 7. Game Day! Come play board games and with the Wii. No registration required. For all ages. Drop in anytime between 10 and 3 pm and see what you can create with the supplies they have sitting in the closet. No registration needed and all ages welcome. Noon Year’s Eve Party (all ages) 11:15 am to 12:15 pm on 12/31. They will feature tons of dance music, crafts, and activities for children of all ages as they count down to noon together. Holiday Escape Room. Extend the holiday fun with friends and family during winter break. Decipher the carols, question the snowman, and search through the snowflakes as you try to escape the Library’s Holiday Escape Room. This program is for kids in grades 4 – 12 and their families. Registration is required and begins Monday, December 3. For more information call the Library at 262-971-2100. Family Fort Night on 12/27 at 6:00 pm. Families can explore forts, books and building toys. Enjoy pizza, dancing and customizing your own themed souvenir. Happy Christmas Break from Lake Country Family Fun!